Best Peanut Butter Cookies. Ever. I came across this recipe on Pinterest the other day, and it completely validated my time spent on Pinterest. Mix the ingredients thoroughly, but if you put some muscle into it, you don’t actually need to get out the mixer. (This might be my favorite part.) Stir it up and drop round tablespoons of dough onto the cookie sheet. Press crossways with the tines of a fork and bake for 10 minutes. Voila! This should make about 15 cookies. 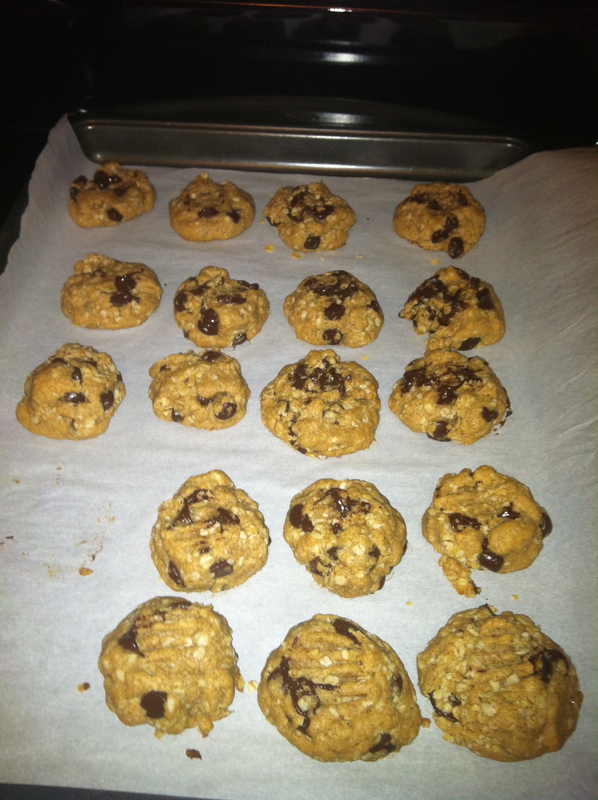 After these turned out so well, I decided to try a batch with half a cup of oats and some chocolate chips. These will need to bake a minute or two longer, but they’re also delicious! My apologies for the dark photos; I need to work on that. 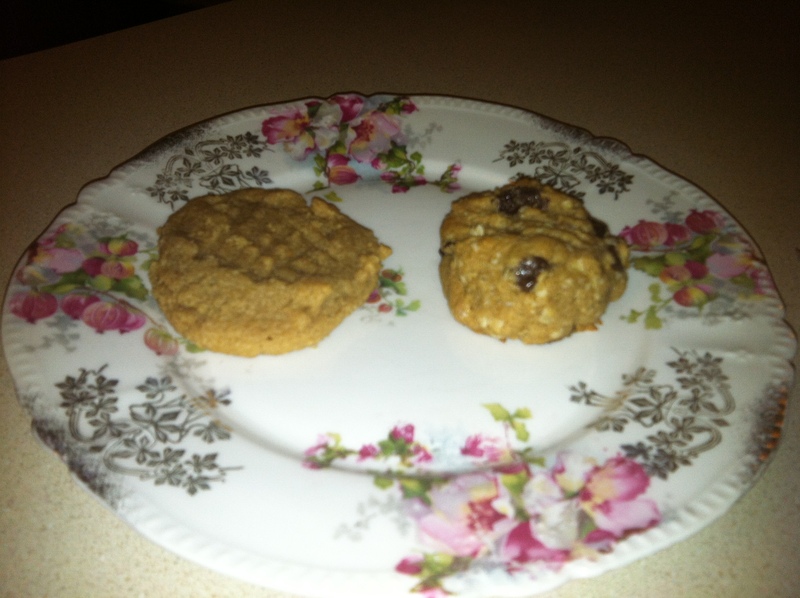 The true test of this recipe is the fact that my husband loves them, and as I told him, these are not gluten-free cookies—they’re amazing cookies that happen to be gluten-free. Enjoy!